The tallest tree in Africa was recently discovered in a remote valley on Kilimanjaro, reaching a whopping 81,5 metres in height. The tree, of the Entandrophragma excelsum species, is one of the few giant specimens ever identified on the African continent. A team of German scientists had used laser instruments to size 32 specimens in the region between 2012 and 2016, discovering that the ten tallest individuals ranged between 59,2 metres and the towering 81,5 metre behemoth; the trees were aged between 500 and 600 years old. Africa is not generally considered to be home to such tall trees. But while many scientists have claimed that this is due to unfavourable environmental conditions, this new discovery suggests that perhaps there’s merely been an inadequate amount of research conducted across the continent. On Kilimanjaro, a combination of nutrient-rich volcanic soils, high temperatures and precipitation have probably helped drive the growth of E. excelsum. The vast trees play an important role in conserving the mountain’s vibrant ecosystem, harbouring ferns and numerous other plant species that grow on them. 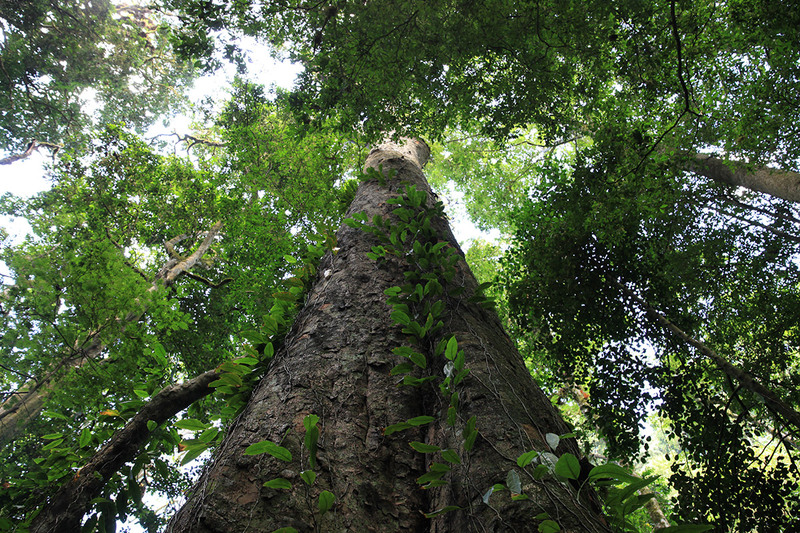 But the green giants face the continent-wide threat of illegal logging. Scientists therefore suggest that the valleys harbouring the tree be included in the neighbouring Kilimanjaro National Park for protection. Kilimanjaro National Park is well-known for its fascinatingly diverse flora across all of the mountain’s different climate zones. You can find out more about some its unique and interesting specimens here.